892 Sqn Fleet Air Arm, HMS EAGLE, Suez 1956. 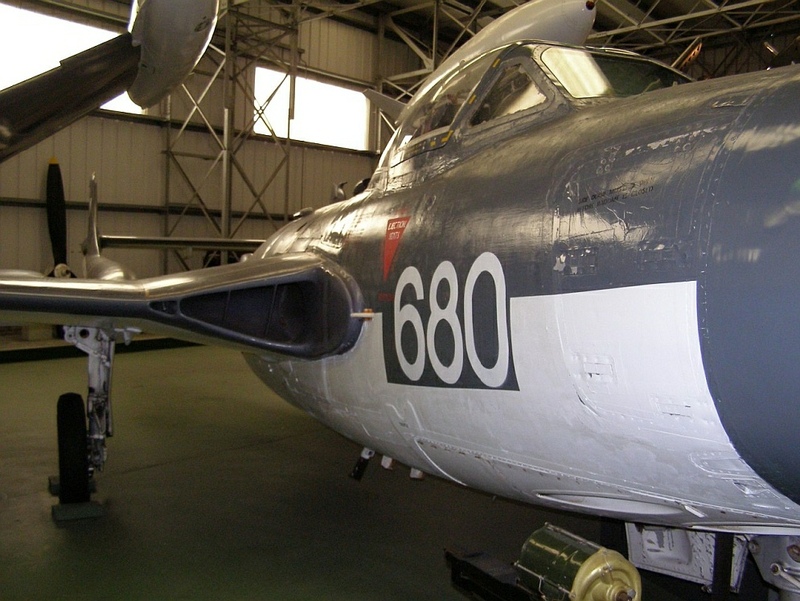 Background Image: The front end of a DH Goblin engine as fitted to the Vampire. 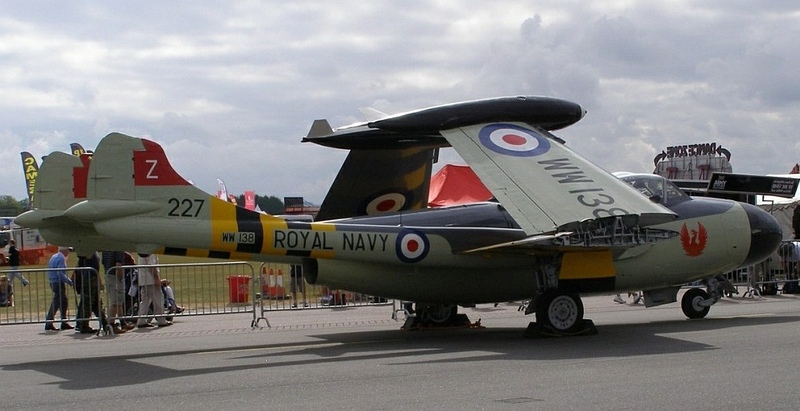 The Sea Venom was developed from the RAF’s Venom Night Fighter. 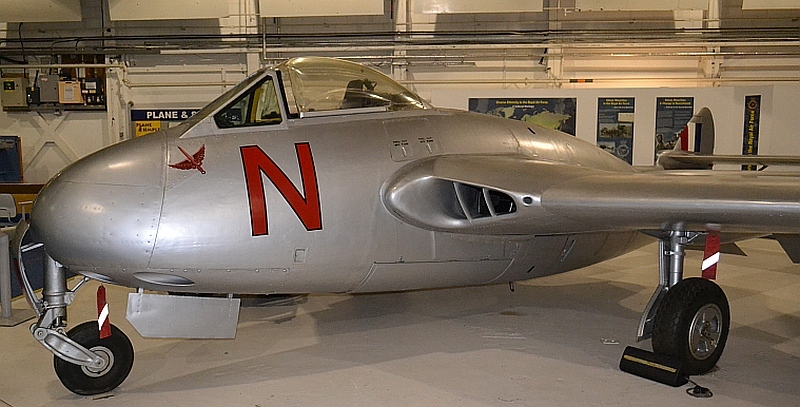 In its carrier form it provided the RN with a highly effective fighter bomber which equipped over 16 RN Squadrons and played a major part in the 1956 Anglo-French Suez landings, Operation Musketeer, 60 years ago. 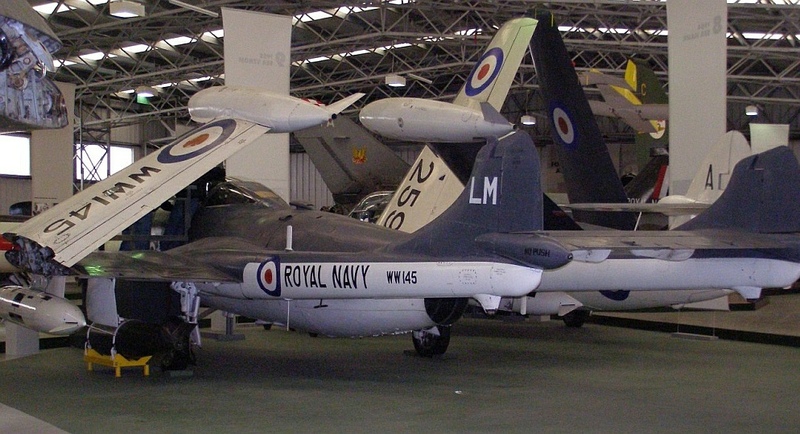 The old FROG Sea Venom has been around for some time and is a typical product of its era. 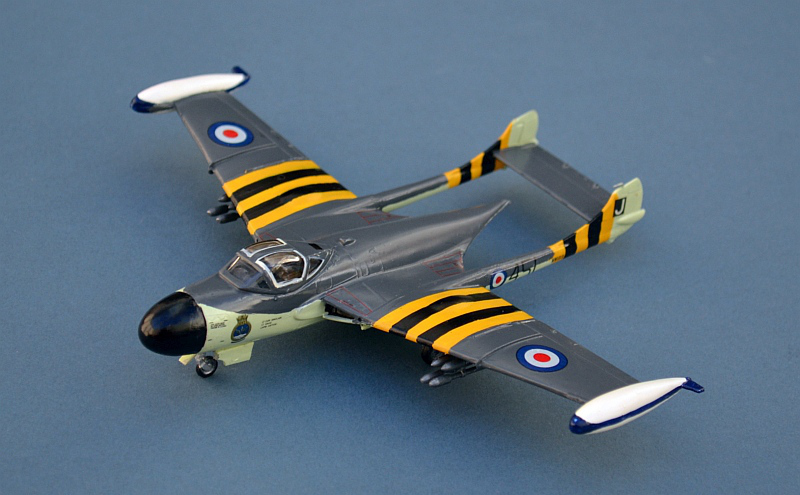 Reasonably simple to build, its overall shape is fair, but it lacks detail. This one was produced in Eastern Europe, possibly the Ukraine, using the old FROG moulds and some rather rough and hard plastic. It is a somewhat better moulding than my previous Sea Venom build, but still a definite “Flash-Fest” as can be seen below. 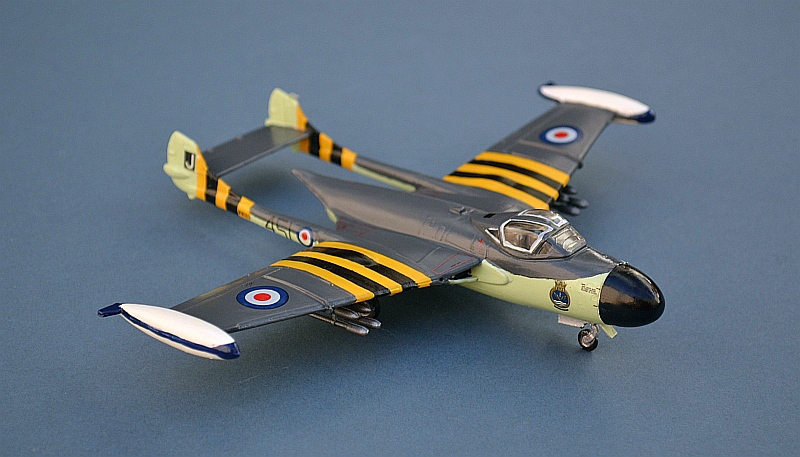 Still, crude though it is, this kit remains the best option for building a Sea Venom replica, the more recent Dragon/Cyberhobby kit having some very serious shape issues. 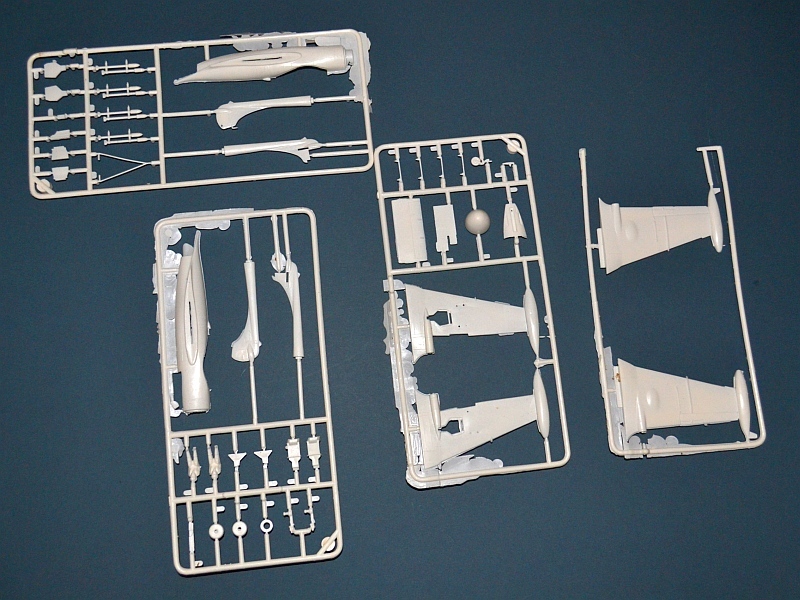 One of the kits biggest shortfalls is the canopy; its shape is definitely suspect and the plastic is very thick. In its original FROG Issues (and most recent Eastern Express issues) it is definitely useable, but poor maintenance of the mould makes soviet era re-pops rather hit or miss. 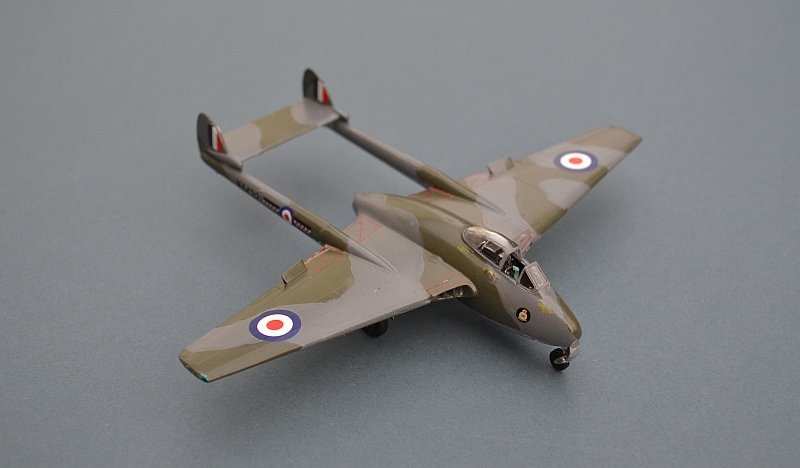 In my previous build I used a replacement Falcon vac-form canopy; for this one I had intended to use an Aeroclub equivalent, but the acetate had deteriorated to a deep brown colour making it un-useable. 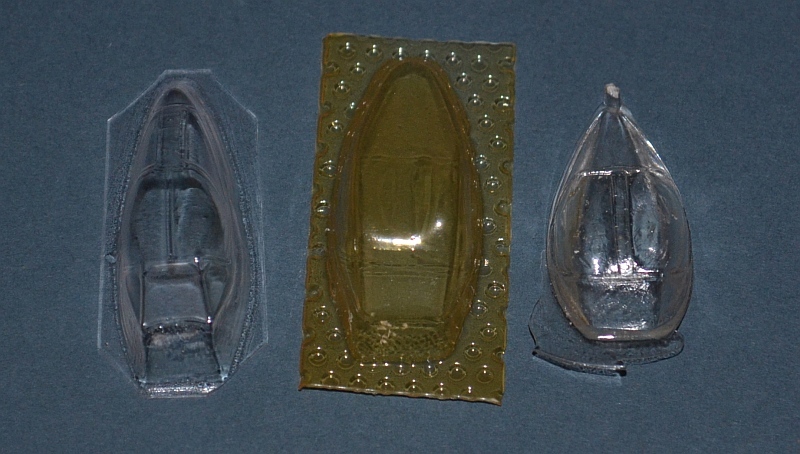 Variations on the Falcon product can still be found online, but as an alternative I purchased several modern Pavlavac-form canopies, expecting them to be just as good. 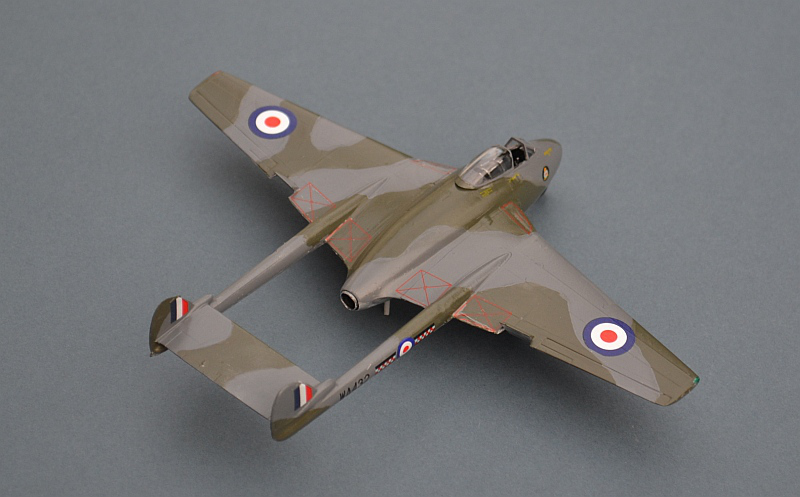 Sadly, the Pavla canopy is made specifically for the Cyberhobby kit and shares its worst failings - it is so thin in profile that it almost looks like a single-seater, so in the end I used the kit’s one, after a lot of tidying up and polishing. 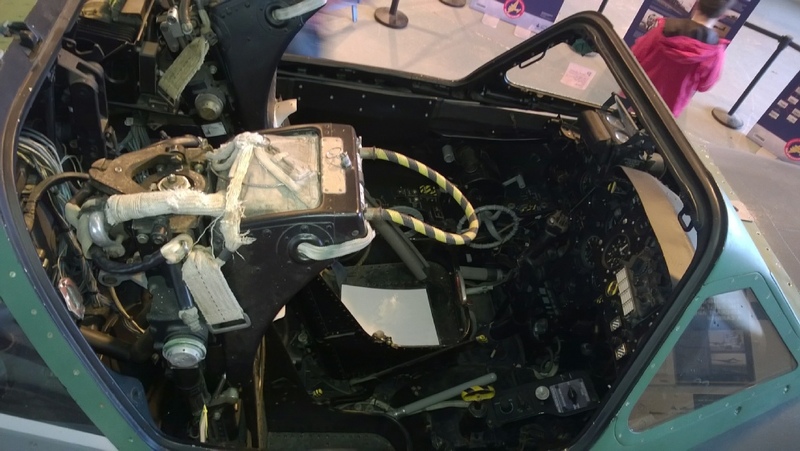 I did use some Pavla resin ejector seats though - despite them being outrageously skinny in order to fit the Cyberhobby cockpit, they are far better than the blobby FROG originals..
603 Sqn Royal Auxiliary Air Force, RAF Turnhouse, Scotland 1955. 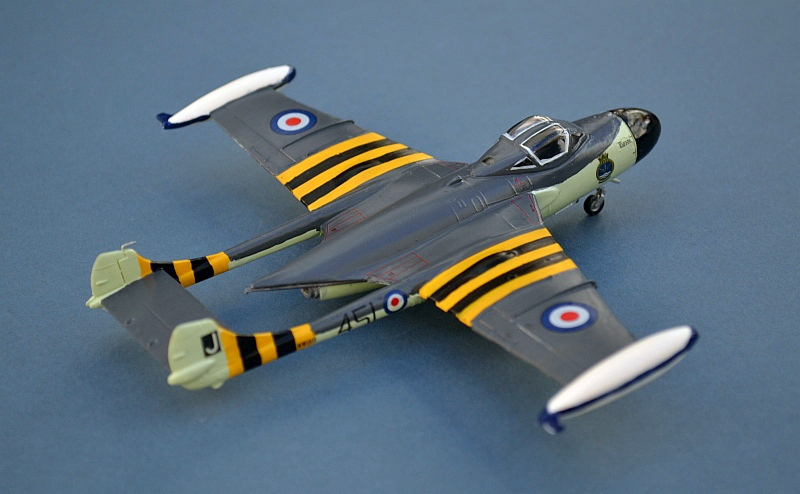 Heller 1/72 with Model Decal markings. 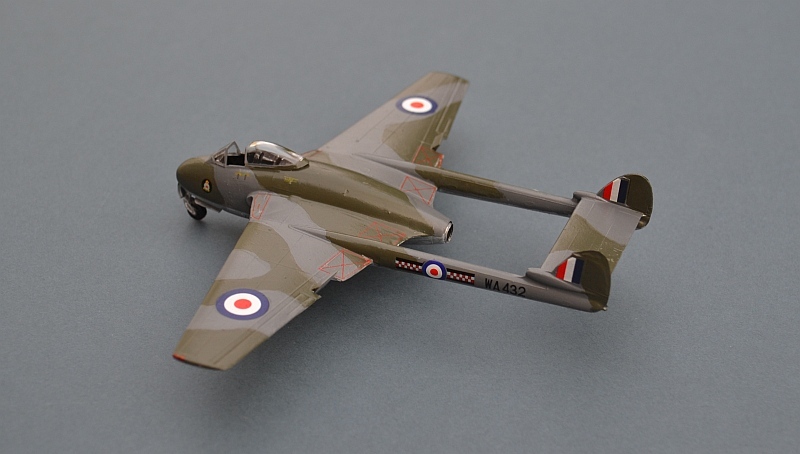 The Vampire first flew during WW2 and was widely used by the RAFin the late 1940s and early 1950s as a ground attack aircraft alongside Meteor interceptors. 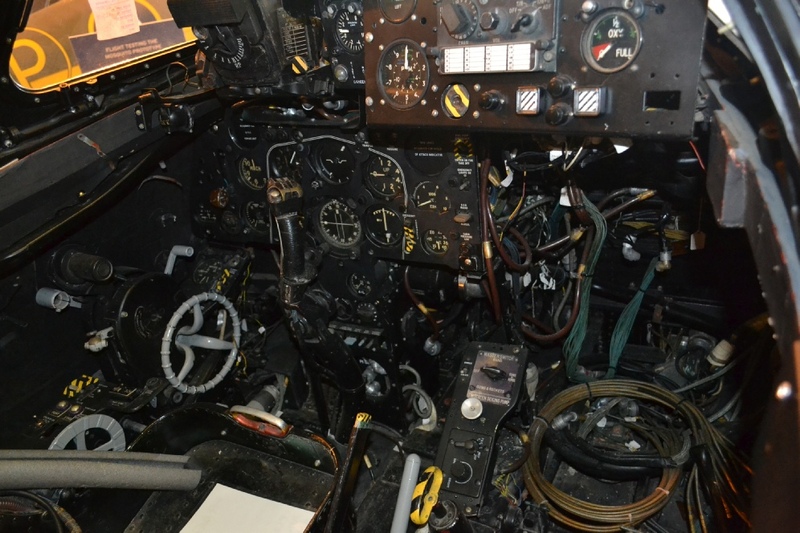 Powered by the DH Goblin jet , its tail boom configuration ensured that the limited power available from this early engine could be fully used. 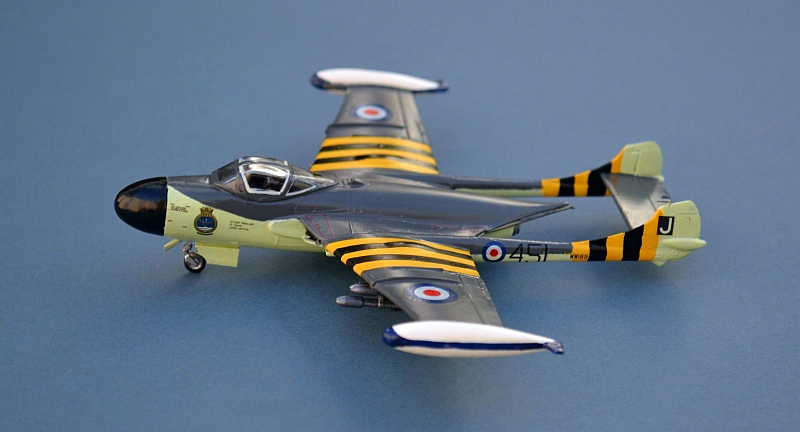 The FB.5 variant was fully optimised for ground attack with over 900 built for the RAF alone. 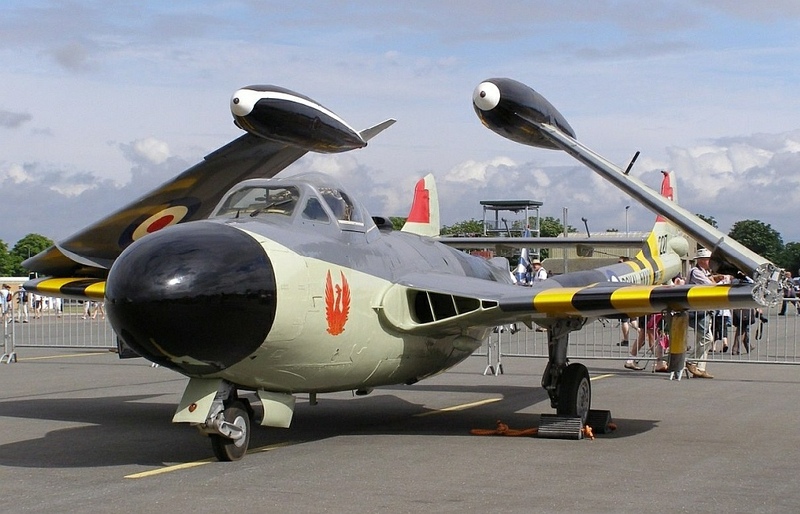 Although trainer variants remained in use well into the 1960s, after their withdrawal from front-line use in the early 1950s, Vampire fighter bombers remained in service with RAuxAF Squadrons until the end of the decade. 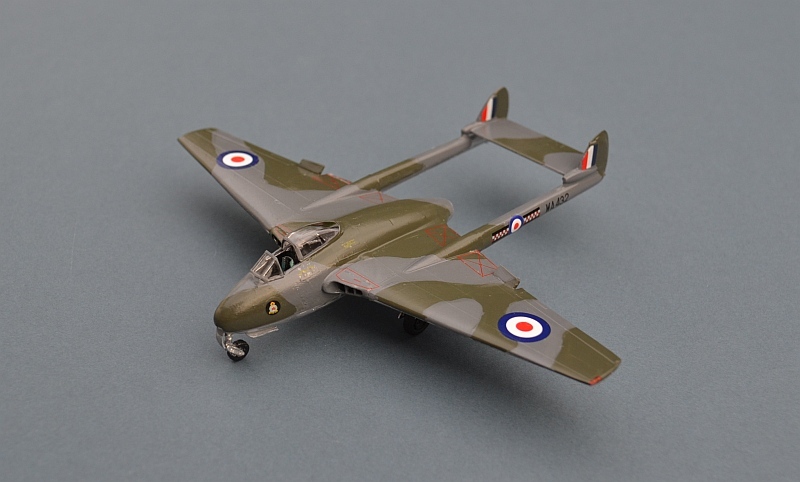 Heller’s Vampire kit has also appeared in Airfix and Revell boxes. 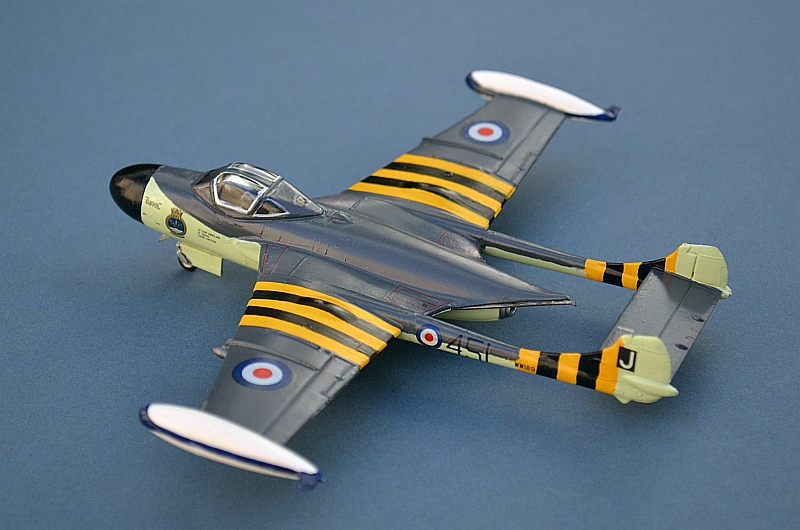 It is nicely detailed and an easy build, albeit with (IMHO) some rather plain markings for RAF and French aircraft. 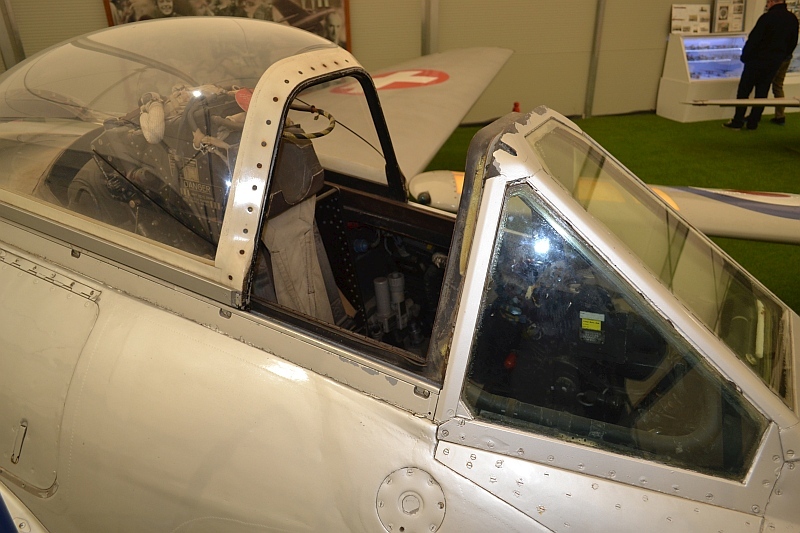 It has a reasonable cockpit and the canopy can be posed open if you so desire. Like all Vampire kits it is a determined tail sitter. 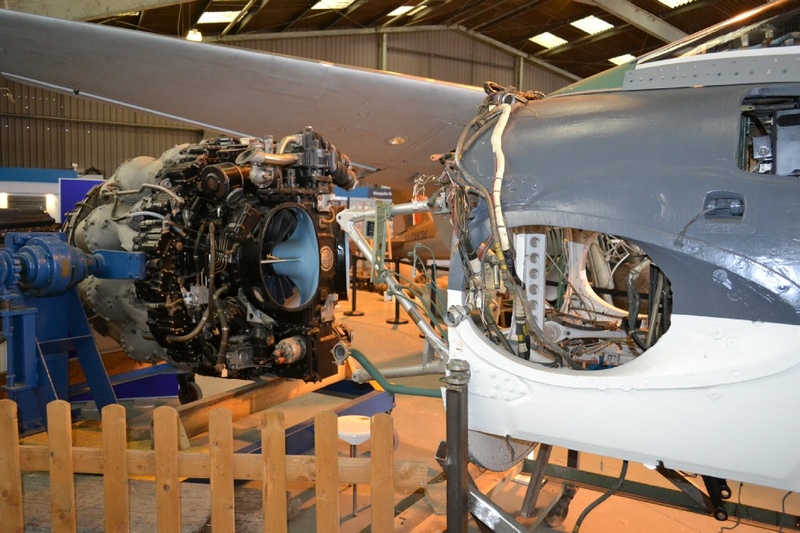 Whilst it is possible to add weights in an attempt to balance it, I prefer to add a discreet prop under the fuselage.